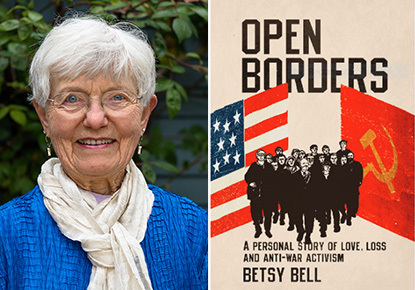 Join us to hear Betsy Bell read from her chronicle, "Open Borders: A Personal Story of Love, Loss and Anti-War Activism." Betsy Bell chronicles her personal journey during the 1980s as an anti-war activist and the activities of Target Seattle. In 1983, she travels to Tashkent, Seattle's Sister City in Uzbekistan and discovers the power of people-to-people connections across political boundaries. She explores how ordinary citizens can be transformed into agents of peace. This program is part of the Words, Writers & West Seattle series which features writers connected to the Duwamish Peninsula. Programs are held monthly on the second Thursday evenings.